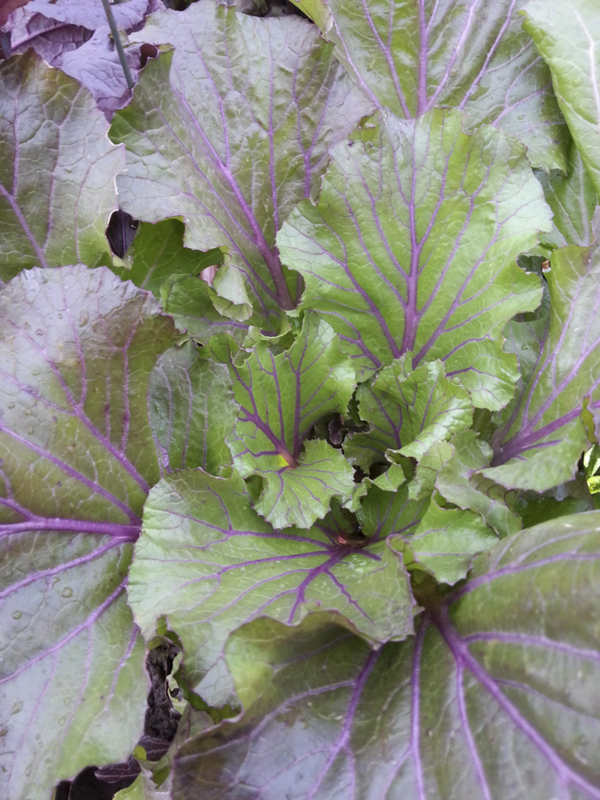 Absolutely vibrant shades of magenta violet, purple, and rose pink pervade this pac choi mix, coloring the succulent petioles, sometimes the leaf veins, sometimes the entire leaf. The color saturation during autumn growth and cold weather is especially stunning, so the recommended outdoor planting period is Sept-Oct. Tunnel plantings Jan-Feb should also color well. Replaces 'Purple Rapa Pop.' Farm Original Variety! OSSI (Open Source Seed Initiative) Pledged Variety.